Kathryn Smith was named as the NFL's first full-time female assistant coach in January. 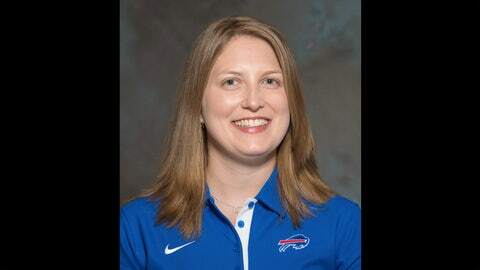 Kevin Kiley, who called last month’s hiring of Kathryn Smith as the NFL’s first full-time female assistant "absurd," was not on the air Friday morning for station 92.3 The Fan. Kiley told a Cleveland television station that he had submitted his resignation in November but was scheduled to work through the end of this month. "My principles, their principles of doing business they don’t match," Kiley said Thursday night on WOIO Channel 19’s Sports Extra, per Cleveland.com. "It was tough for me to work there." Kiley, who had worked for WKRK since 2011, said his resignation was unrelated to Smith’s hiring but ripped his station for its handing of the matter.